Want to update your style? Maybe your hair or skin just need a boost. You’ll love what you see in the mirror when you come to Alter Ego and let us take care of your hair and beauty. We’re a team of trained stylists in Corby with modern flair and a passion for cutting-edge style – experienced in working with both men and women, with classic and modern styles. We’ll make you look and feel great in our hair salon, tanning area and beauty parlour. Call now to book your apointment! We’re really proud of our cool, contemporary hair salon. We only use the best equipment and products we can find to make sure that every aspect of what we do is as good as we can make it. Whether you want a dramatic new cut, fancy trying a new colour or just need your barnet trimming and neatening, we’re the right people to do that for you. We’re experienced hair stylists and if you’re not sure what you want, we’ll consult with you and come up with just the right hairstyle for your look. When you step through our door, the first thing you’ll get is a smile, a cup of coffee and a huge choice of services to treat yourself to. 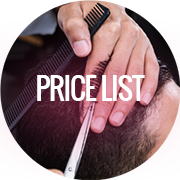 We offer the full range of hairstyling services, from cuts to colouring, highlights to wedding hair. 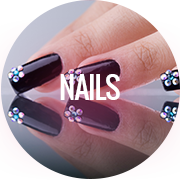 Beyond hair, we also have a fully equipped beauty studio, for manicures, pedicures, facials, anti-ageing skincare and much more. If you need a spot of sun, we have a variety of top-class tanning beds with different features for different preferences. When you step back out of our salon, you’re sure to be glowing. 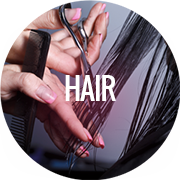 We’re a close team of professional stylists with over 10 years experience, and we love the dynamic, vibrant world of hair and beauty. You’ll see our passion and enthusiasm in everything we do; we have fun while we work and we’ll do everything we can to make you feel welcomed, pampered and revitalised. Your hair makes your whole look pop. We know how important it is that your hair looks good; it frames your face, expresses your personality and works with your wardrobe. So when you come to Alter Ego in Corby for your haircut or styling, we’ll make your appointment count, with high-quality products and service. From hair colouring using our state-of-the-art colour technology, to the perfect wedding style for your most important date, you’re in the right hands with us; it’s our passion and commitment. The whole team is trained and experienced in top-range hair styling techniques, and we’re always up-to-date on the latest fashions and looks. We offer current mags and catalogues in-house to inspire you for your new look, and we’ll talk the whole style through with you before the cut or style to make sure you get what you want. If your hair is a little tired, dry or damaged, we have excellent hair treatments to rejuvenate and condition every strand – because we know you want your hair to feel soft and silky as well as looking awesome. Sometimes your hair colour needs a bit of pep. Sometimes you want a whole new colour for a whole new you. We use cutting-edge colour technology Olaplex, which can change hair from black to blonde in just one hour without damaging it. Our dyes and equipment are high-quality and we have a lot of experience creating a variety of gorgeous effects: full recolours, highlights, a natural look or a full-on burst of vivid colour. We love our Paul Mitchell products, which give fabulous results and are not tested on animals. Our range also includes fine products by Evo, which are also animal-testing-free and use rich natural ingredients – and we’re the brand ambassador for their range. 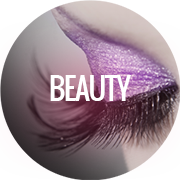 We use L’Oreal salon-quality products and the highest standard of make-up brands for all the rest of our styling work. And for all this, our prices are affordable too! Whether you need professional make-up for a wedding or special event, a facial or peel for fresher-looking skin, or professional care for your nails, we are ready and waiting to make you look and feel fantastic. In our Corby beauty salon, as with our hair salon, we only use top-quality products which we personally select with care, because we know your skin and nails deserve the best treatment. If you have sensitive skin or would like to try out an anti-ageing treatment, just let us know and we’ll make sure you come out of your appointment with a big smile on your gorgeous face. We offer top-range tanning products, such as creams and peels, to help you achieve the perfect finish for your skin. We even stock tanning drinks which use carotene to give your skin a natural glow without time in the booth. We hope that you’ll find the time to come and give your skin a kiss of sun at Alter Ego Atelier. 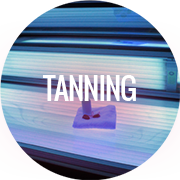 We are proud to offer a variety of different styles of tanning beds for whatever your preference or requirements. We have two standing booths, a bed with aquafresh and an aroma system for maximum relaxation, and one of the booths even has a vibrating plate which combats cellulite as you get a tan! Whatever your choice, you’ll have a soothing and chilled-out time as you tan and come out looking bronzed and fabulous. 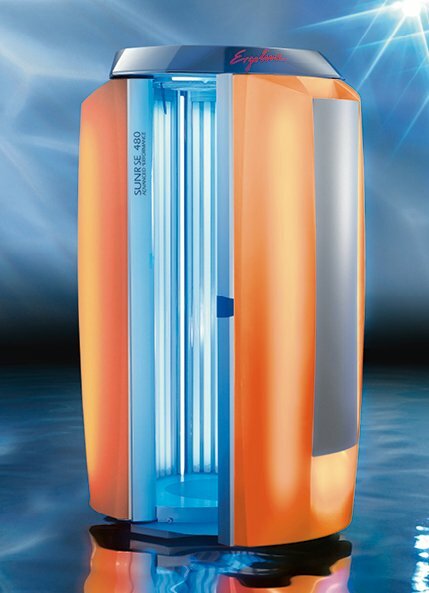 By using our solarium you are assured that you are sunbathing with the use of Ergoline’s top sunbathing equipment. Ergoline is a leading company in the solarium equipment market. In Alter Ego Atelier you will find The Sunrise 480 sunbathing machines with 48 UV lamps with powerful Advanced Performance technology and generous comfort fittings. 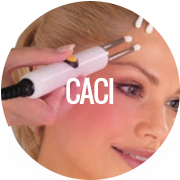 With this class of equipment you can be sure that you will feel only the positive effects of sunbathing – your vitamin D level will rise and significantly reduce the risk of various serious illnesses. You can book an appointment with us over the phone or directly in our salon – we’re always happy to book you in for whatever services you require, whether it’s just a simple styling or multiple treatments. If you have any questions or comments for us, feel free to get in touch and we’ll tell you everything you need to know.